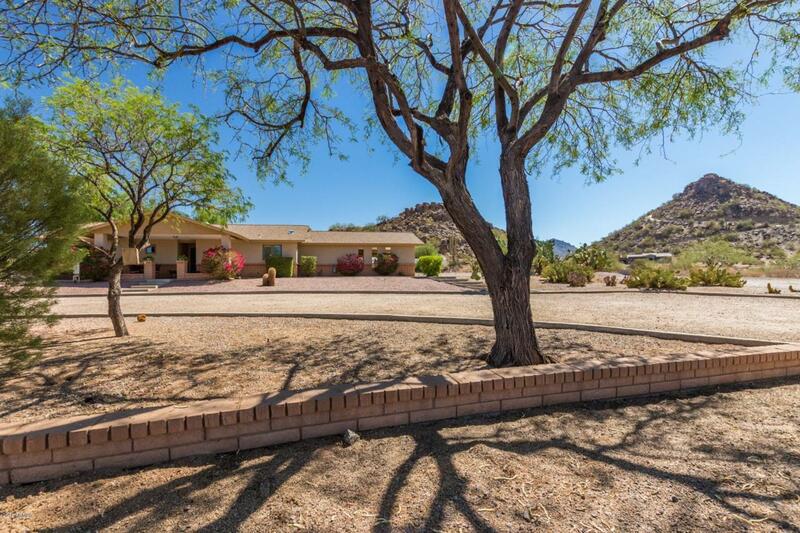 This beautiful home in Mesa sits on over 1 acre of HORSE property! With beautiful mountain views and a separate detached guest house in the back, the possibilities for this property are endless! 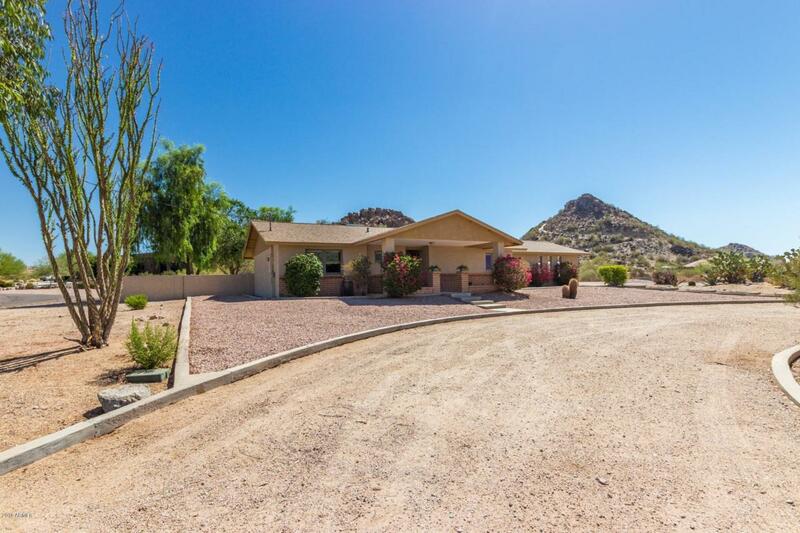 New exterior paint, upgraded tile, remodeled bathrooms, landscaped backyard, and a custom built kitchen with oversized stainless steel appliances, this home has it all! Two fireplaces; one is wood burning, one is gas. Vaulted ceilings and wood beams in the family room. 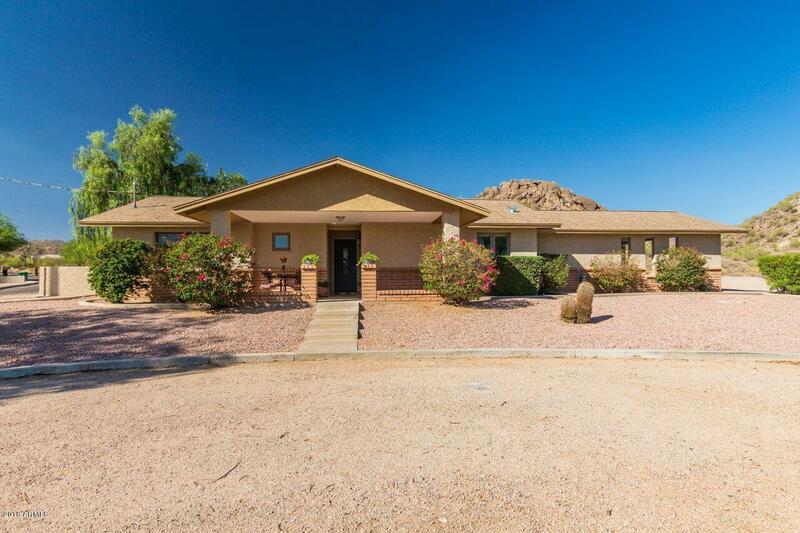 The bedrooms include tile flooring, ceiling fans, and large picture windows. 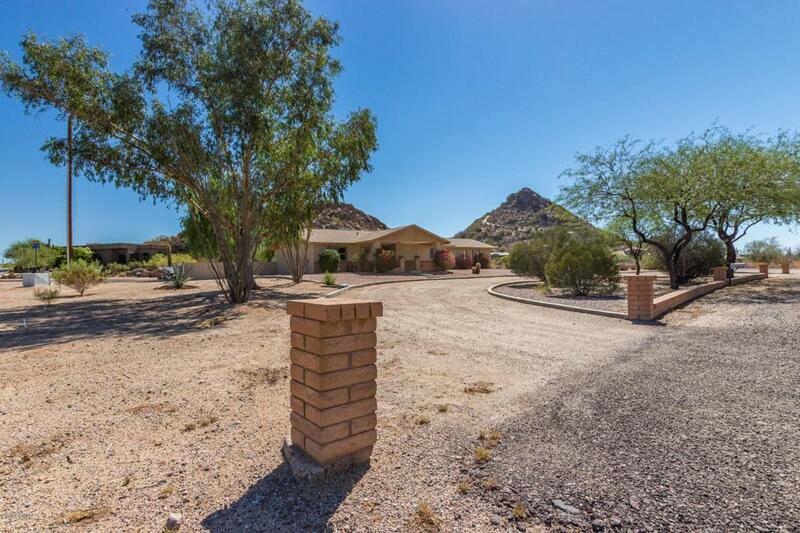 The detached guest home offers a 4th bedroom and is fully functional with AC & running water. It also includes a storage/workshop/man cave room, kitchenette, and a full bathroom. (Main living space 2413 sq ft & guest house 400 sq ft) Plenty of space for all.